Fun, safe supervised entertainment for kids! Parents Night Off Program in Houston! 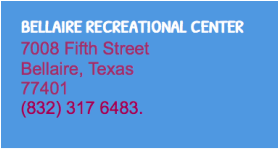 and Kid Recreation Program in Houston! Friday Nite Live! 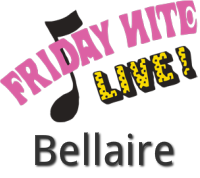 Bellaire is a weekly parent night out program and a Kids Club all in one. It provides 4 hours of positive, safe and supervised entertainment for kids with structured activities, sports, games, crafts, contests, face painting, music and dancing. It's 4 hours of FUN for the kids in the heart of Houston, while the parents enjoy some well deserved time off or a night out in town. at the Bellaire Recreational Center.